We would like to apologize for the link tool closing early. There has been numerous issues with the link tool this past month and therefore we are switching to a new link tool for our blog! Please bear with us as we work out any kinks and please feel free to email me (Lisa) if you notice any problems! We want our Sunday Stamps fans to have a perfect experience when joining in on the fun here. 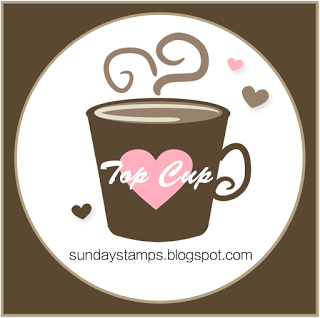 Thanks Amy for choosing my card as your Top Cup! Congratulations to all of the winners- your cards are gorgeous!